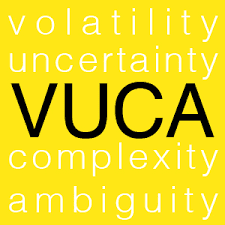 We're certainly living in a VUCA world. 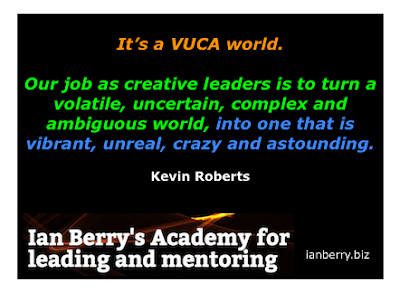 I prefer Kevin Roberts definition in what he calls SUPER VUCA than the one above. The video below is 4 minutes and 46 seconds from Kevin on this. Read all of Kevin's speech here.